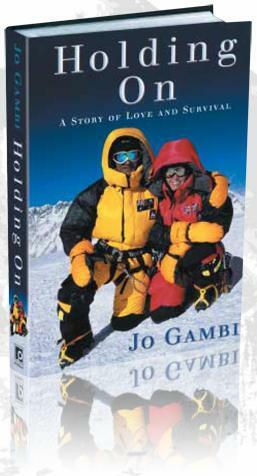 Jo Gambi (nee Hogbin) was born in Worcester in 1969, and brought up in the village of Penn in Buckinghamshire. Her childhood holidays were always spent outdoors, whether sailing or camping and hiking. After university she worked for Marks and Spencer as a Product Technologist and later became a Physiotherapist in the NHS. She was already an experienced rock climber when she met Rob, an Australian with a fear of heights who had never climbed before. They married in 1996 but in 2000 their world fell apart when Rob was diagnosed with cancer for the second time. After eighteen months of illness and intensive treatment Rob and Jo set off on a journey that was to see them overcome illness, climb the Seven Summits, ski to both Poles and unexpectedly enter the record books. They now live in Chiswick, London and are planning fresh challenges.